May I use your printer? She's just bought a new inkjet printer. 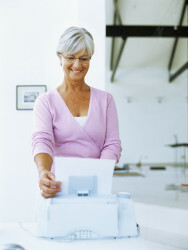 Do you have an inkjet or a laser printer? I printed the web pages so I could read them later when I was offline. I prefer to read the online newspapers. 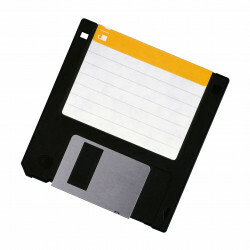 I don't use floppy disks anymore. Put the disk into the drive, please. The computer doesn't have a disk drive. Does your computer have a DVD drive? The DVD burner doesn't work. 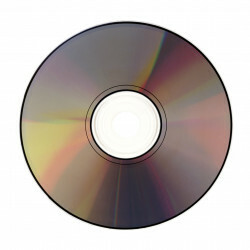 The new programme is on the CD-ROM. The pictures are stored on the hard disk. There are many files in this folder. The file was created two days ago. I've just opened the file. The window was automatically closed. After you've logged out, you need to exit the programme.